EUR touched a low of 1.0638 yesterday before rebounding quickly. While the overall outlook for this pair is still viewed as neutral, shorter-term indicators suggest that the current pull-back from last week’s 1.0825/30 top has room to extend towards 1.0615, with lower odds for further extension to 1.0575. Resistance is at 1.0735 but only a move back above 1.0760 would indicate that the immediate downward pressure has eased. There is not much to add as GBP traded in a relatively narrow 1.2475/1.2550 range yesterday. 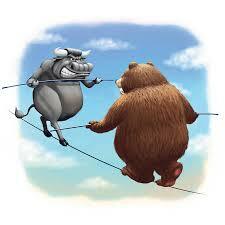 The recent choppy swings have resulted in a mixed outlook and the near-term direction is unclear. We turned neutral about one week ago and at this stage, there are no early indications that GBP is about to embark on a sustained directional move. In other words, we continue to hold a neutral view and expect choppy consolidation within a 1.2350/1.2670 range. We turned bullish late last week when AUD moved clearly above 0.7600, anticipating a break above the major resistance at 0.7700 (weekly trend-line). The failure to move clearly above 0.7700 (high has been 0.7696) coupled with subsequent prolonged consolidation has resulted in a rapid loss in upward momentum. In order to hold on to the current bullish momentum, AUD need to ‘punch above’ 0.7700 soon or the odds for further AUD strength would continue to diminish. To put it another way, the bullish phase may come to a premature end unless we see a move above 0.7700 within these 1 to 2 days. Alternatively, a move below the trailing-stop at 0.7595 would also indicate that a short-term top is in place (indicating that AUD has moved into a correction/consolidation phase). NZD/USD: Neutral: In a 0.7220/0.7370 range. We indicated yesterday that the 3-week bullish phase in NZD has ended when 0.7280 was breached and were of the view that this pair has moved into a 0.7220/0.7370 consolidation phase. However, the sharp decline earlier this morning has resulted in a rapid improvement in downward momentum and from here, a move below 0.7220 would suggest that a deeper pull-back towards 0.7155/60 has started. This appears to be a likely scenario unless NZD can move and stay above 0.7330 within these couple of days. On a shorterterm note, 0.7280 is already a strong resistance. USD/JPY: Neutral: Immediate downward pressure towards 111.30. As noted in recent days, as long as 112.90 is not taken out, the immediate risk is tilted to the downside towards 111.30 (overnight low has been 111.61). That said, the lackluster price action has resulted in a quick loss in downward momentum and the odds further USD weakness have diminished considerably. However, only a move back above 112.90 would indicate that a temporary low is in place.